What’s artificial about this picture you might ask? Well, I really struggled to find something which would fit the word prompt for this week’s photo challenge. 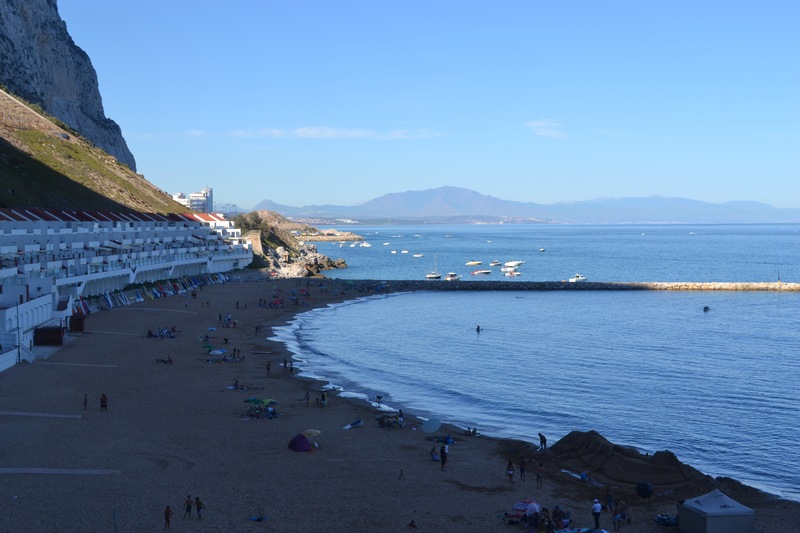 Then I remembered that Sandy Bay, on the eastern coast of Gibraltar is an awful lot bigger now that it was when we first arrived. In our early years on the rock, it was practically non-existent with just a metre or two of beach at the foot of the Both Worlds housing development you see encircling the cove. Stormy seas and high tides had washed the old beach away. In recent years though, two large groynes and a breakwater were created to protect, not an ‘artificial’ beach, but a artificially large beach. 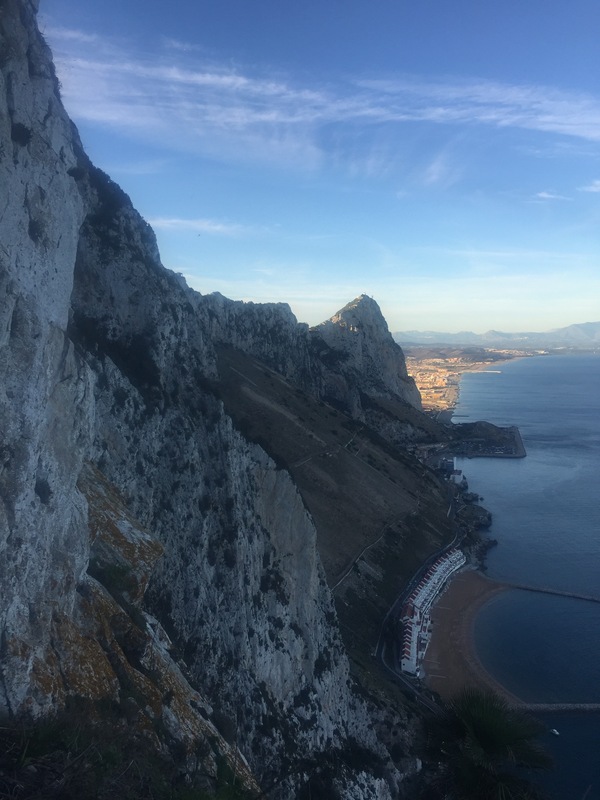 As you can see in the photo below (which was taken from the top of the Rock), even with the groynes and breakwater, the beach can take a pounding in stormy weather. Now, at least, when a storm comes calling, we are still left with a beach at Sandy Bay once it blows itself out. 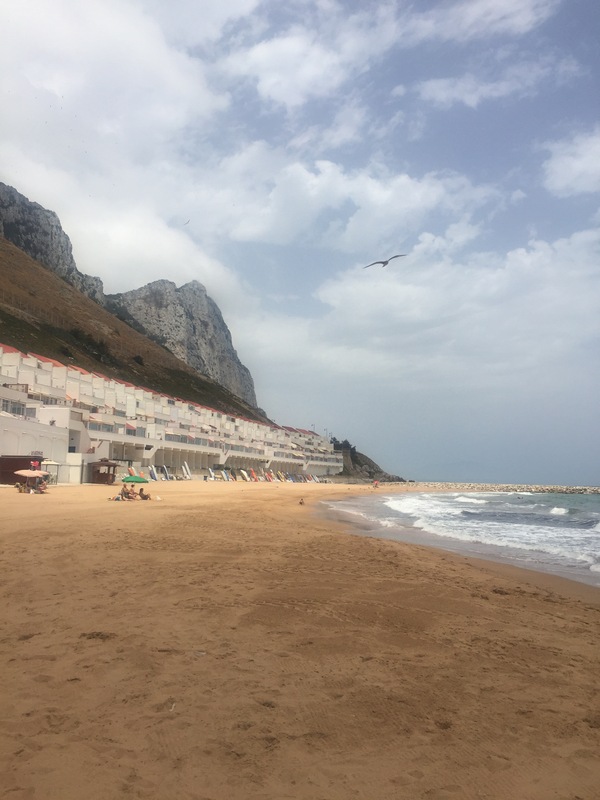 It also means that on days when it isn’t safe to swim at Gibraltar’s other beaches, the sea is calm enough for the lifeguards to allow us to bathe here. That’s one of the reasons why Sandy Bay was became our regular beach venue last summer. Tiz a difficult prompt this week for sure, but you have risen to the challenge brilliantly with a fascinating post, and amazing photographs. Thanks so much for your entry. Yes! It has made me scratch my head too! Wow! The “artificially large” is magnificent. I can see why you would make your regular haunt. And that’s a brilliant interpretation of the prompt. Great photos. If those are apartments above the beach I trust someone has mentioned global warming to the owners?